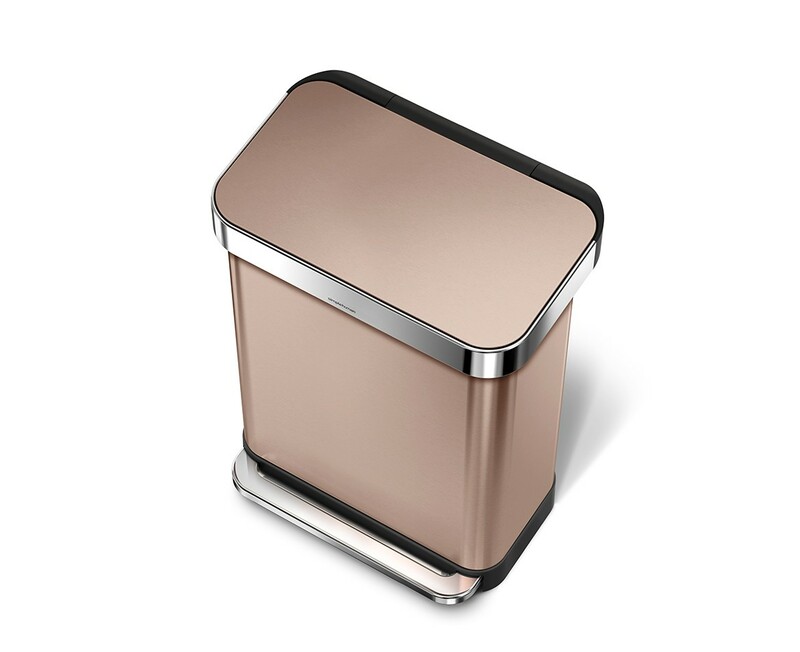 Our new rose gold steel rectangular step can features an innovative 'liner pocket' that stores and dispenses liners from inside the can for a faster liner change. The stainless steel liner rim grips the liner and keeps it hidden. And with no inner bucket, there's more space for trash. Strong wide steel pedal is designed to last, and our patented lid shox technology ensures a smooth, silent close every time. Code Q liner refill packs store perfectly in this can's liner pocket. Liner rim flips up for a quick and easy liner change, then closes over the liner to hold it tightly in place and keep it hidden from sight. Keep liners where you need them. Dispense them one-by-one from inside the can for a faster liner change. Designed to slip into the back of the built-in liner pocket. 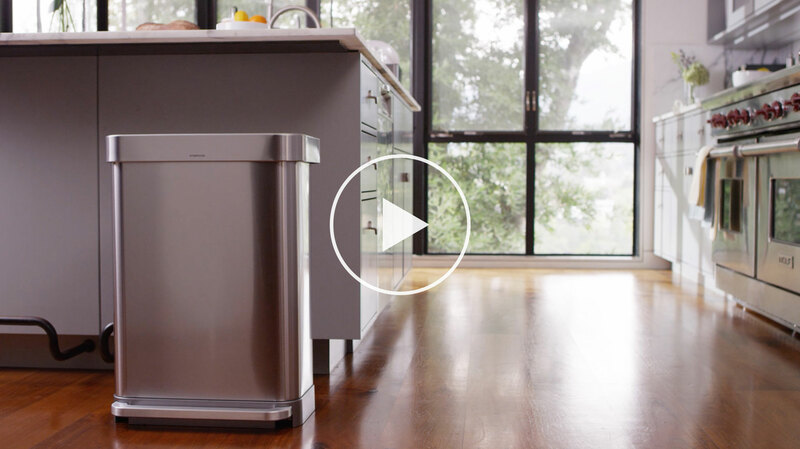 By eliminating the inner bucket, we managed to get the same amount of capacity into a smaller, more space-efficient can. 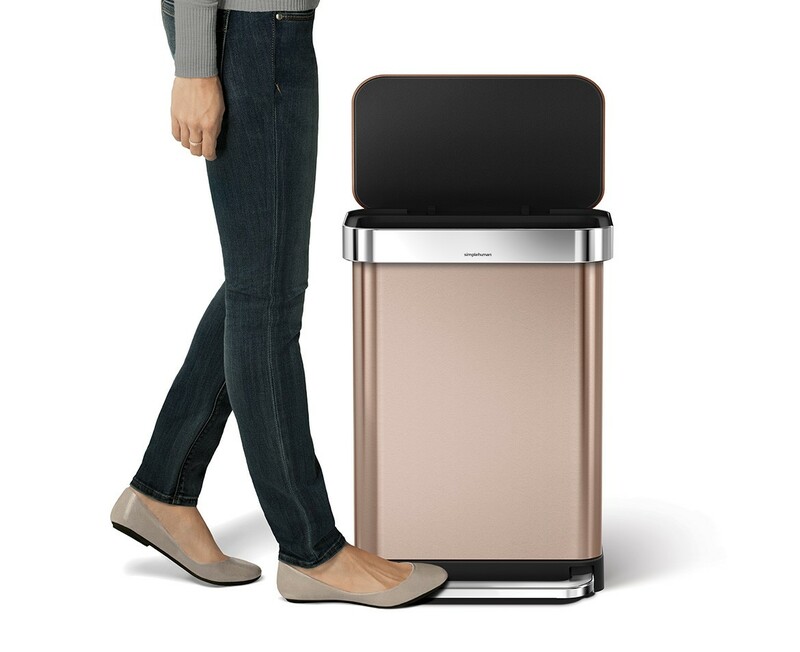 One side for trash, one side for easy disposal of recyclables. Our extra-wide steel pedal is engineered to last 150,000 steps — that's more than 20 steps a day for 20 years. Our patented lid shox technology controls the motion of the lid for a slow, silent close. Prevents the lid from bumping the wall. Code Q liners are designed to fit this can perfectly and are extra strong to prevent leaks and tears. Refill packs dispense liners one at a time and store perfectly in cans with our new liner pocket feature.